The junior minister is drafting her own bill which excludes the risk of suicide from legislation that will comply with the Supreme Court ruling in the X Case. 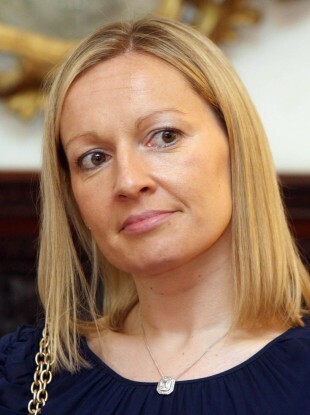 Minister of State for European Affairs Lucinda Creighton. JUNIOR MINISTER LUCINDA Creighton has said she has “grave reservations” about including the risk of suicide provision in any bill which legislates for the X Case on abortion. The Minister of State for European Affairs is drafting a bill which would legislate for the landmark Supreme Court ruling 20 years ago but would not include the risk of suicide as posing a risk to the life of a woman. As it stands, the ruling in the case of a 14-year-old girl who was raped and became pregnant states that abortion is permissible in Ireland where there is a risk to the life of a woman because of the pregnancy, including the risk of suicide. This constitutional position is set to be legislated for by the government in the coming months but Creighton told Morning Ireland on RTÉ Radio this morning that the situation was not as “cut and dry” as was suggested. Creighton said she would have “difficulty” with any law which included the risk of suicide and said that voting for the law would depend on the wording of the government’s bill which is due to be published in the coming months. The Fine Gael TD for Dublin South East said there was a “lack of any certainty or singular view within the medical profession or indeed within the legal profession” as to how to go about reflecting the X Case decision during the recent Oireachtas Committee hearings. All but one legal expert who appeared before the Oireachtas Health Committee discussing legislating for the X Case expressed the view that the risk of suicide must be included with only TCD professor and former pro-life campaigner William Binchy saying that legislation was not required. Email “Creighton has 'grave reservations' about suicide risk in any X Case law”. Feedback on “Creighton has 'grave reservations' about suicide risk in any X Case law”.